Whether new to the field of cybersecurity or validating current skills via credentials, certifications are an effective step towards accelerating your career and expanding your skill set. 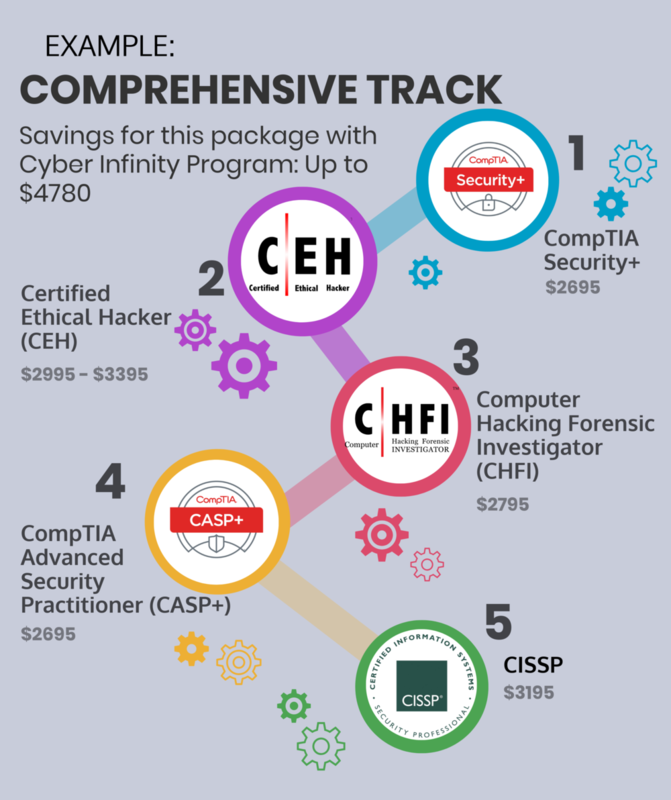 The unlimited training in the Cyber Infinity Program allows you to customize your certification track with your personal career goals in mind. 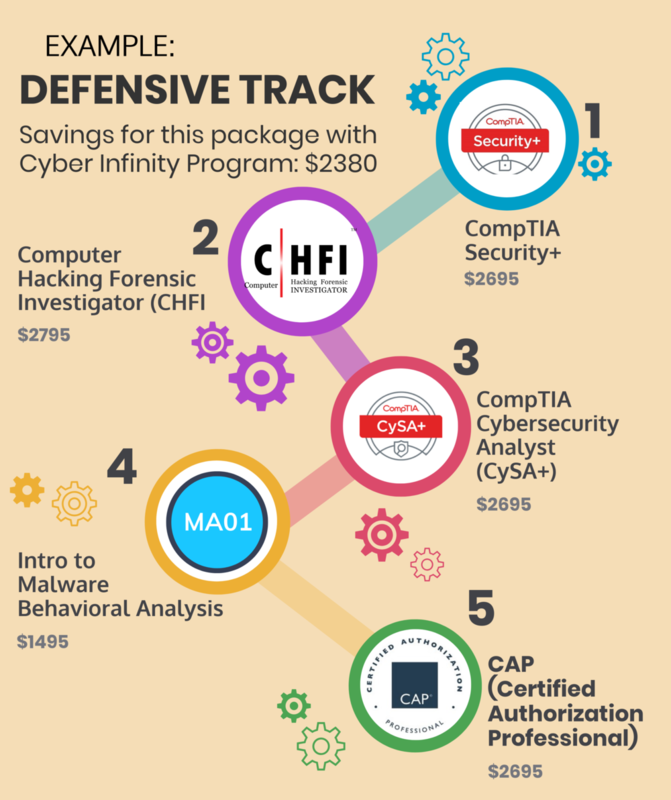 Whether you want to specialize in the offensive or defensive tracks, focus on cybersecurity management or cyber forensics, or create a comprehensive package with a variety of cybersecurity certifications, our wide selection of certification training classes can help you reach your goals. All course offerings on our public schedule are included in the program. All classes are available live in-person at our facility in O’Fallon, IL, or live online. Alpine Security offers certification training courses from CompTIA, EC-Council, and (ISC)², as well as hands-on, technical training in a variety of topics such as Wireshark training and malware analysis. Several of our course offering are DoD Approved 8570 Baseline Certifications. Live, Instructor-Led Training with a dynamic certified trainer that is a cybersecurity professional. Instructors have real-world experience with the material covered in the cybersecurity course.